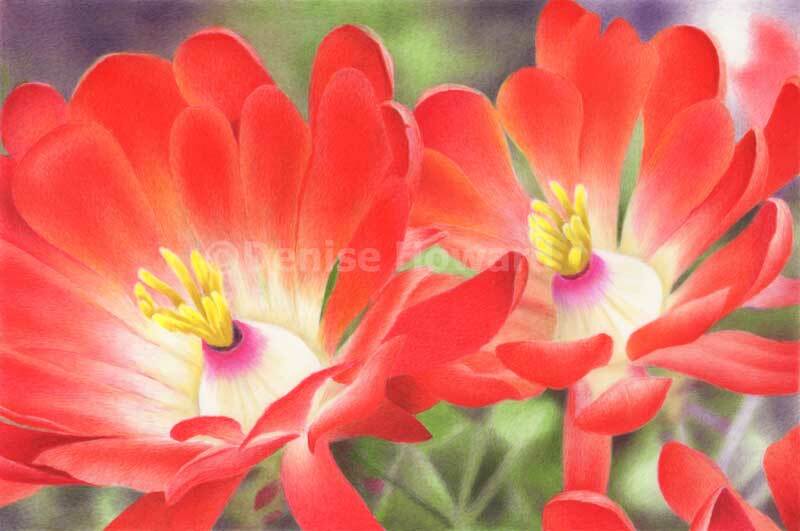 "Denise Howard is one of the very best colored pencil artists in the nation. Just to see her work is inspiring. Her workshops on colored pencil techniques are informative. She is friendly, approachable, and gladly answers any and all questions." -- Roger A. We will be using the unique Dura-Lar translucent polyester film which very readily accepts colored pencil and allows for rich color and sharp details with little effort. Because of its translucency, you can work on both sides for richer effect or even stack layers for an atmospheric effect. 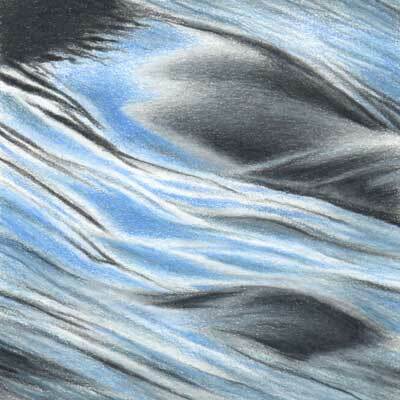 Learn how to use this surface to create colored pencil images that pop! When you’re finished drawing on it (both sides!) you mount it to an opaque background and frame it under glass or acrylic. This full-day workshop is offered by the Pacific Art League in Palo Alto, CA and is limited to 12 students. 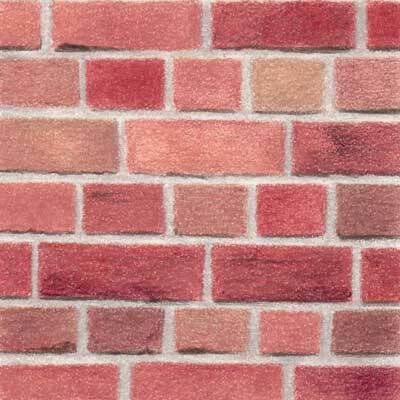 You will take home a finished drawing suitable for framing! A $10 materials fee made payable to instructor will include Stonehenge drawing paper with the outline drawing already transferred and a step-by-step booklet. 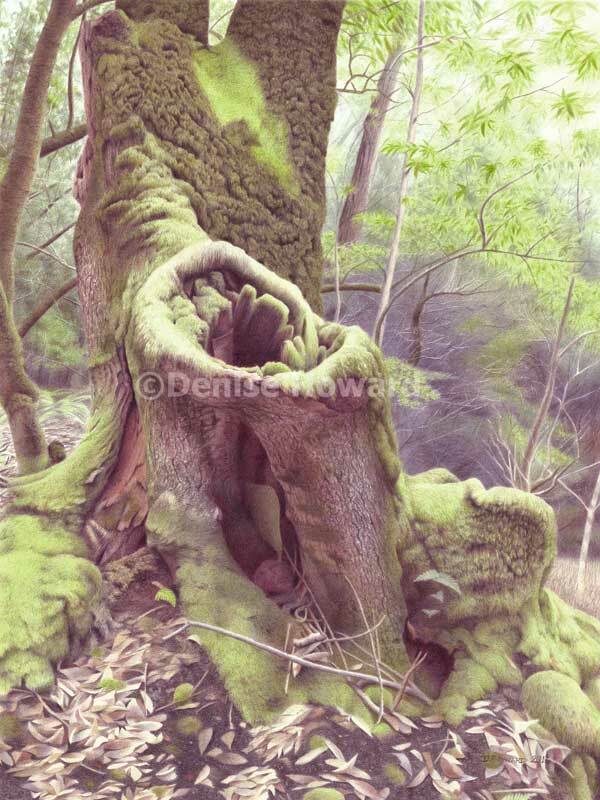 In this two-day workshop, you'll learn how to create a variety of believable textures with colored pencil, from the roughness of tree bark, to the sheen of metal, to the wispiness of a spider web, and many more! 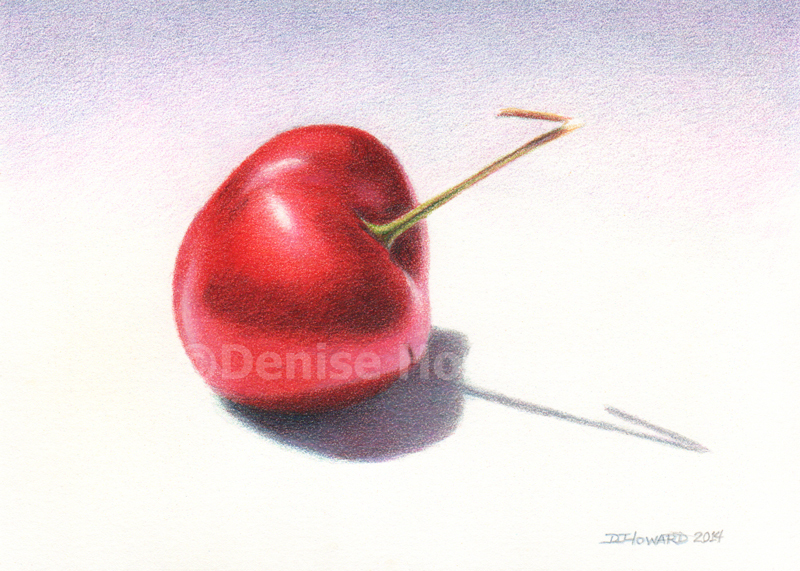 Denise is the author of 101 Textures in Colored Pencil, full of practical step-by-step drawing techniques for rendering a variety of surfaces and textures. She will share lessons from the book, including her knowledge of tools and color selection, to help you conquer textures that may have baffled you before. 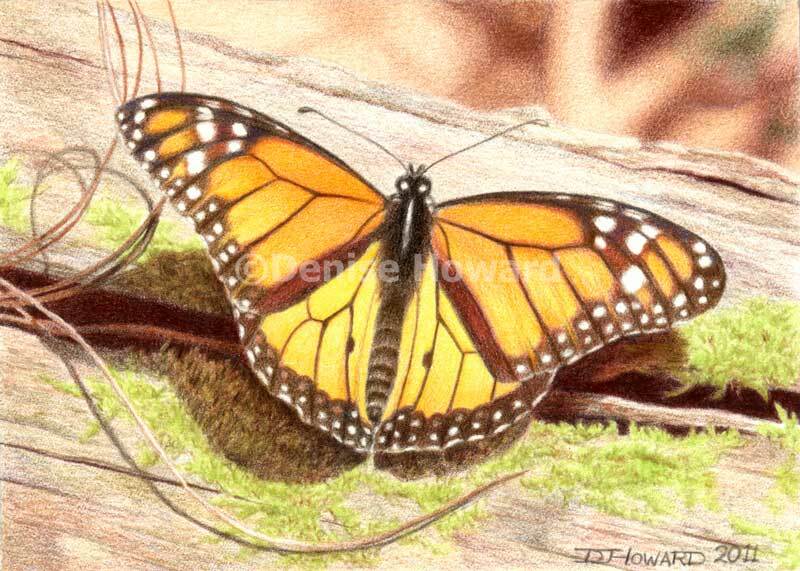 Learn how to use a variety of techniques, surfaces and tools with colored pencils to create glowing color and details that blur the distinction between drawing and painting. 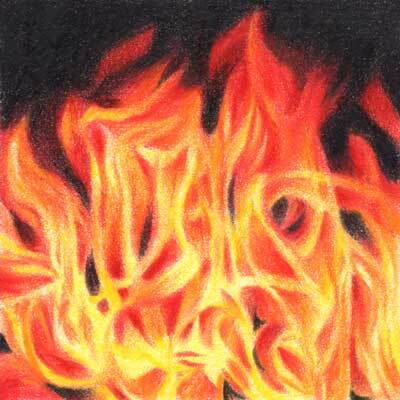 Colored pencils offer the control and portability of pencil and the color of paint! Open to all levels. This half-day workshop is offered by the Pacific Art League in Palo Alto, CA and is limited to 12 students. "Thank you so much for the great workshop on Sunday. I knew I really enjoyed it when, after having dinner that evening, I started another drawing. That hasn't happened before! My only complaint about the workshop is that I wish it had been longer! I look forward to exploring the medium more." -- Rebecca G.
Does the idea of trying to draw convincing rocks, leaves, bark and grasses with colored pencil seem too overwhelming to even attempt? Learn how easy they can be with some techniques that anyone can master. Open to all levels. "I just wanted to drop you a line, saying how much I enjoyed your two-day workshop. Your work is very inspiring, and I think I shall start incorporating more landscapes into my work." -- Bill S.
"I've been thinking a lot today about how much I enjoyed your workshop. Thank you for sharing your skills!" - A.S.
"So many INVALUABLE techniques and helpful mental procedures. Observation seems like such a "duh" idea, but I really think my depth of observation has increased by leaps, and my awareness of color and texture as well. I believe you have shortened my learning curve considerably. Seriously, many thanks for such a killer day. It was worth far more than I paid, and beyond worth the the drive." 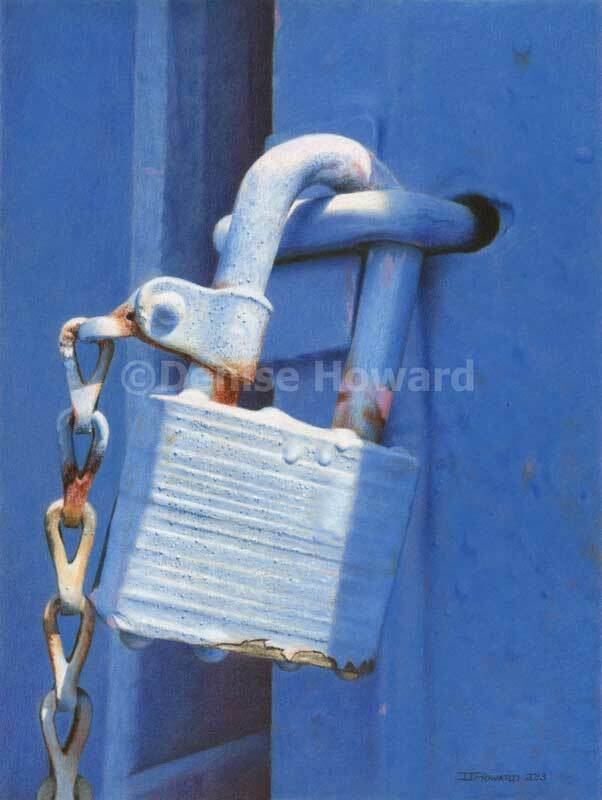 - Sue D.
Is your San Francisco Bay Area art group looking for interesting new presentations? I give a 90-minute presentation about the wonderful medium of colored pencil titled "Colored Pencil as a Fine Art Medium". I bring along examples of my work on a variety of surfaces, paper samples, and some of my favorite technique books. "Really enjoyed your presentation...very thorough and entertaining." -- Linda O. "I want to be sure you know how much I appreciated your talk. It was fabulous! Absolutely “right on” for so many things I wanted to know about colored pencils. Your organization was great, the printed–out notes most helpful, and you stuck to your plan incredibly well. I learned SO MUCH!!" 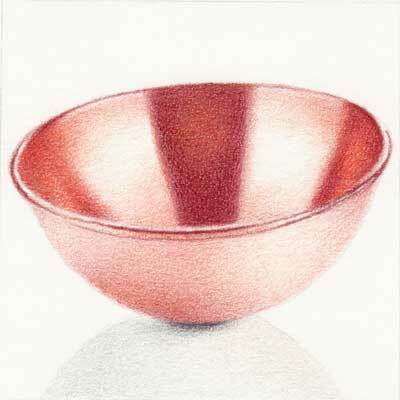 -- Sally G.
"I watched your Caran d'Ache demo at Riley Street Art in Santa Rosa today and I was quite impressed. Thank you for all the great info!" -- Miguel C.
For those who might be familiar with traditional colored pencil rendering techniques but are put off by how long it takes to produce a finished piece, I offer a 90-minute presentation about some additional techniques and surfaces which can dramatically speed up the process. I demonstrate and discuss both their advantages and disadvantages. I bring along examples of my work which were done using these techniques and surfaces. "Thank you so much for the demo and showing us the newer speedier techniques in colored pencil drawing! I had no idea.....and I think a lot of eyes were opened wide according to the comments I heard." 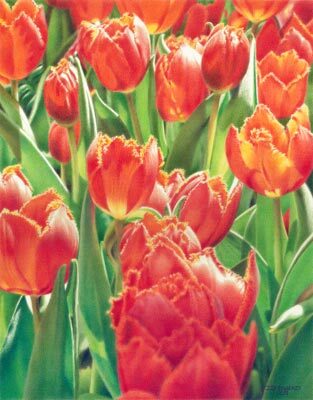 -- Linda W.
"The presentation with examples and the specific information given in Denise's handout made for an excellent learning opportunity about the developments affecting colored pencil art and how it can be used in a faster manner." -- Ginny S.